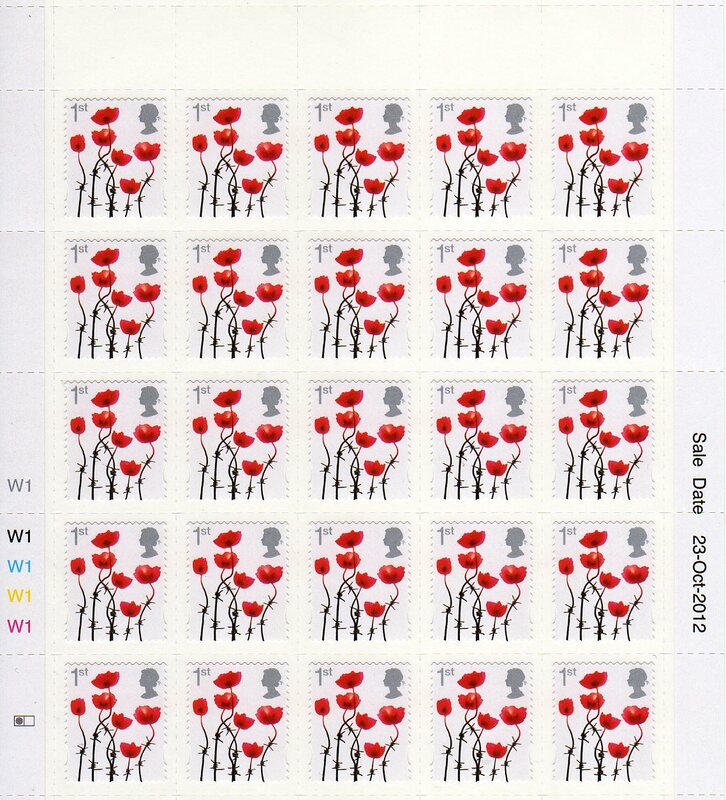 I'm now able to show the whole sheet of Poppy stamps issued on 23 October. This was first reported in the Royal Mail Philatelic Bulletin for September but had not at that time been mentioned by any other source, to collectors or dealers. These stamps have been distributed to around 1000 branches, including all Crown* offices, and those with philatelic counters. They have also been distributed to selected offices near military bases and are available to all branches to order via the Horizon system. There are fewer than 400 'Crown' offices now. It seemed that remaining 10,800 offices weren't been told about the new stamp, so I don't know how they are supposed to know that they can order them. It wouldn't be so bad, of course, if Tallents House standing order customers had had them distributed automatically, but as the stamp is not regarded as different enough from the previous versions of this stamp to be regarded as new, it was not sent to standing orders customers. As the previous versions were gummed in a miniature sheet, and self-adhesive in an over-face value generic sheet, I don't see how they can be regarded as the same. To order from Royal Mail, the product code is AS841. 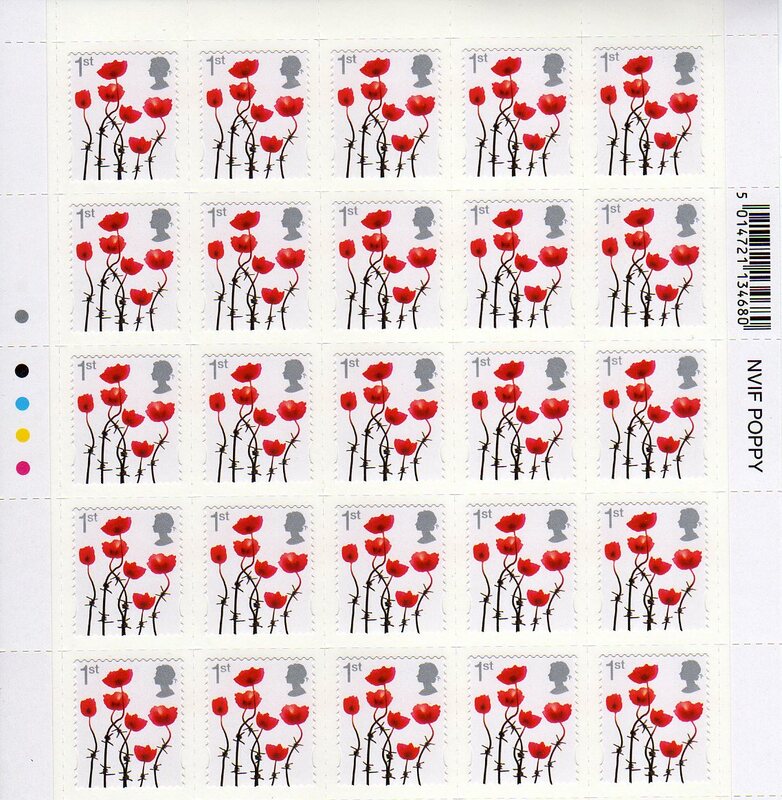 My Romiley local PO fella told me ( if I believe him) that he was not able to order these stamps on his Horizon ordering system. The village PO that I use also said he couldn't find them on the system. Ref all the ref to the Poppy issue, their is on different from 2006/07/08, the 1st is in the top left corner, not, in the bottom right corner, correct if i am wrong, have had no luck in local POs, have not ev en heard of the stamp???? Please read the reply there. (1) the absence of Poppy stamps has been well covered here, they were only sent to 1000 PO branches. 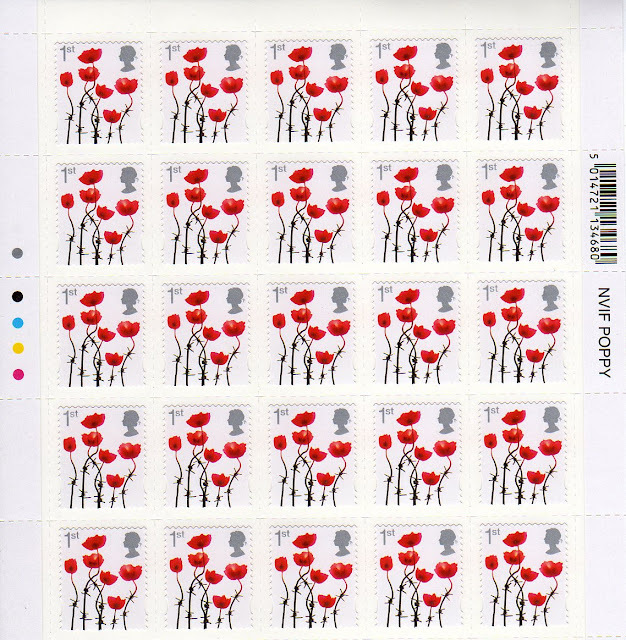 (2) the stamp was previously issued, with the 1st in the top left corner, in early 2010.